Ellen Richardson, a graphic designer and Pleasant Plains resident, recently took her Craigslist hunting skills to the next level with the launch of her blog, Listed District. Listed District offers daily DC Craigslist findings of everything from Mid-Century and Industrial furniture, to bikes and the utterly strange. Growing up in north Alabama, Ellen got plenty of flea market and antique mall scouring practice – she’s drawn to the interesting histories of the unique (and strange) so, don’t expect her to post too many IKEA leftovers. Every week Ellen is going to share a roundup of some Phenomenal Finds with PoPville. 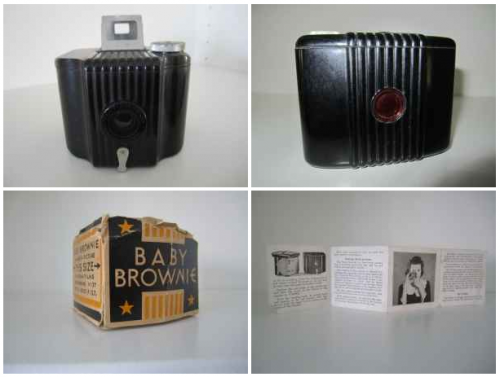 This week, Craigslsit has a plethora of interesting vintage items made of http://en.wikipedia.org/wiki/Bakelite. Bakelite, in case you’ve not heard of it, was developed in 1907 by Belgian chemist Leo Baekeland. 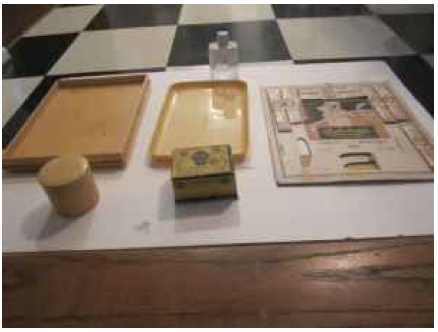 It was one of the first synthetic plastics and, once it caught on, was used to make tons of industrial, household, and recreational items – everything from cameras, jewelry, and telephones, to coffins and even machine guns. Bakelite was groundbreaking from an industrial application standpoint, and is actually still used today in several specialized industries. But the best stuff, the stuff collectors drool over, are the everyday Bakelite items that are today made from materials that are less labor intensive to produce. And like any good success story, Bakelite has plenty of scandal and intrigue associated with it. Leo Baekeland eventually descended into epic eccentricity and his heirs didn’t fair too much better. The movie Savage Grace, starring Julianne Moore (based upon the book of the same name by Natalie Robins and Steven M.L. Aronson), dramatizes the dysfunctional life and brutal murder of socialite and Bakelite heiress Barbara Daly Baekeland by her son Antony. Antony was institutionalized and went on to also attempt to murder his Grandmother before dying mysteriously at Rikers Island…yep. All of these items are super cool on their own – the Bakelite factor is just the icing on the cake. 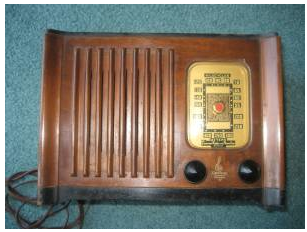 **Some of the radios I found are fetching huge prices on eBay! All the listings after the jump.